Long Meadow Campsite is ideally located in the heart of the New Forest National Park. With immediate access to safe off-road walking and cycling paths. Brockenhurst, a lovely forest village is located only a 5 minute drive or 20 minute stroll through the forest. In Brockenhurst you will find an abundance of shops, pubs, restaurants and cafes as well as a butchers, bakery, greengrocer and ironmongers. Brockenhurst train station provides direct rail links with Bournemouth, Poole, Winchester, Southampton and London which is only 1hr 30 minutes away by train. To book for the 2019 Season please using the booking form above. 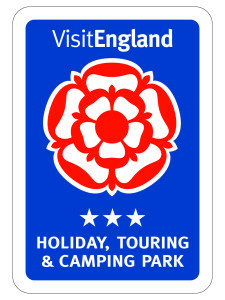 Welcome to Long Meadow campsite ideally positioned in the heart of the New Forest National Park. The perfect destination for a camping break on the South Coast. Thanks to New Forest Wildlife Photography for the image above. Located just off of the A337 Long Meadow Campsite is extremely easy to access making us an ideal site for tents, campervans and large motor-homes. We offer large, spacious grass and hard standing pitches with electric hook up available on both. Our spacious site provides large open spaces which are perfect for children to play safely. Long Meadow Campsite provides clean, modern facilities which are fully accessible for wheelchairs. Long Meadow Campsite shared a photo.